To say that John Hamer has been involved in a variety of programs at The Horton Group is an understatement. John serves as the Director of Markets in Horton's Wisconsin Risk Advisory Solutions Division. In this role, John provides strategic and tactical support to the Branch President, Ryan Smale, and HRAS Division in areas concerning our company relationships with the insurers we represent. John and the HRAS team work closely with consultants and carrier representatives to craft plans that yield the greatest benefit to Horton and its clients. John's experience is a very deep and relevant to the Wisconsin operations as a whole. Before his current role, John was the Director of Operations for which he assumed a high level of responsibility for the leadership of operational efficiencies in servicing accounts. He oversaw and managed client services with a particular focus on policies, procedures, and the application of technology for more efficient processing. Before his role as Director of Operations, he was the Director fo Select Business in Wisconsin where he addressed the property and liability insurance needs of a variety of trade group and association program business clients. He guided sales executives within the agency and helped lead programs for municipalities, fire departments, restaurants, hotels, auto repair shops and manufactured housing, to name just a few. The Select division serves policyholders with complex risk management needs and limited internal resources. 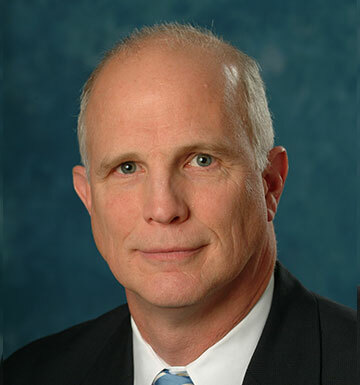 John's knowledge of the traditional insurance marketplace, alternative risk financing methods, and retail/wholesale distribution contribute to The Horton Group's reputation as a leader in niche marketing. John joined The Horton Group during the company's 1998 acquisition of the Laub Group, a former Wisconsin-based independent insurance agency. Prior to joining the Laub operation in 1988, John spent 11 years with Maryland Casualty Company in the roles of Senior Property and Casualty Underwriter and Regional Accounting Manager. Among his educational pursuits, John earned a Bachelor's degree in Business Administration from Marquette University and a Master of Business Administration degree from the Keller Graduate School of Management. John is a member of the Wisconsin Chapter of the Public Risk Management Association (PRIMA) and the Wisconsin Alliance for Fire Safety. Married with four children, John resides in Wauwatosa, Wisconsin.